Seven people were arrested in Phoenix by police after blocking a van with detainees in an attempt to halt the deportation of Guadalupe Garcia. Garcia, an undocumented immigrant arrested nearly a decade ago in one of then-Maricopa County Sheriff Joe Arpaio’s workplace sweeps targeting immigrant workers, who was attempting to check in with the local ICE office as a condition as a condition of the workplace raid, however her felony conviction for the arrest in 2008 meant she was a target for new enforcement aimed at the forced removal of undocumented people from the United States. Puente, a local non-profit pro-migrant activist group, quickly organized protests calling for her removal from custody and a return to her family, as protests dragged into the night hundreds came to the ICE office in downtown Phoenix to join Garcia’s family in solidarity. 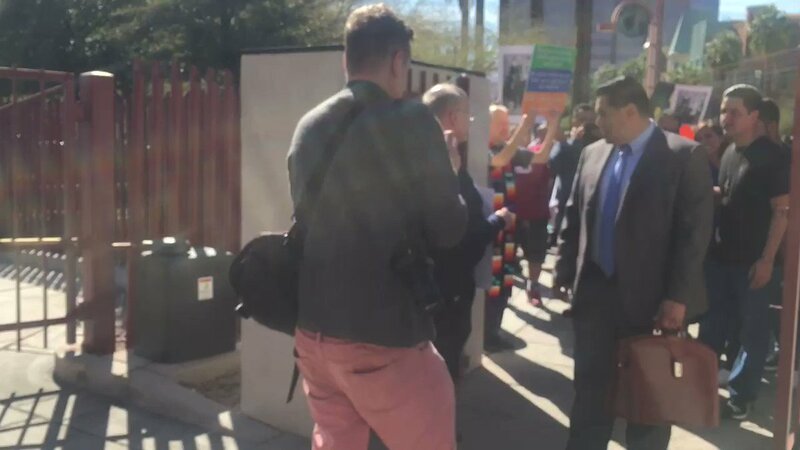 After the activists blocking the van were arrested the vehicle returned to the ICE property, allowing the Phoenix police to pull dozens of officers into the ICE building to assist federal agents in enforcing the deportation order. A few hours after the initial attempt to halt the van, a small convoy of police vehicles left the gates of the federal building with Guadalupe Garcia. There was no organized effort to halt the second attempt, and the few people who ran into the street were grabbed by plainclothes police while officers in riot gear with less lethal weapons moved towards the crowd across the street. A few small groups of local anarchists were present, offering up chants against the police, ICE, and the usual racist state of affairs. As the crowd remained in a stand off with police, the chants became increasingly hostile towards the cops, and the non-profit approved comments decrying the practices and policies of one institution became calls for the abolition of all borders and nations, and calls to burn down ICE. 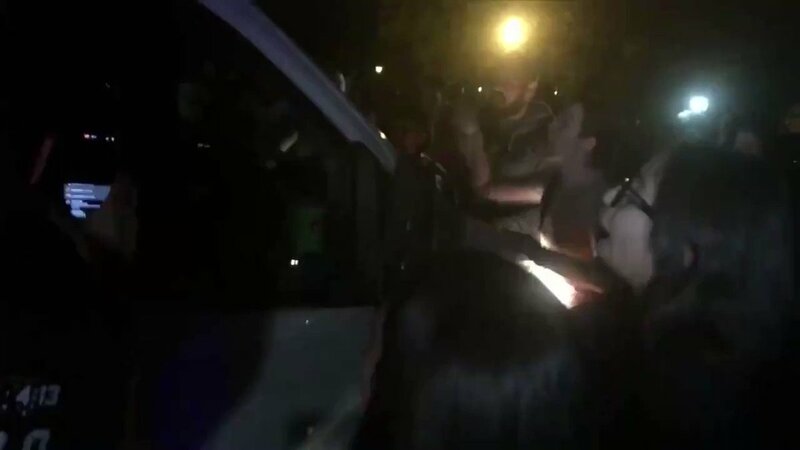 The standoff between the crowd and the officers lasted for another hour after the deportation vehicles left with Guadalupe Garcia, and finally the police withdrew. Anarchists and other militants defied the calls from Puente organizers to regroup and talk “next steps” and instead took to the streets in defiance of police orders. Close to one hundred people then spilled out onto Central Ave., halting traffic and blocking the light rail train as a Puente organizer again tried to call the crowd out of the streets and back to the sidewalks. It seemed as though people wanted even more, but police were able to succeed where the respectable activist group had failed in pushing people back from the streets and onto the sidewalk. Workplace raids, the snatching of relatives from vehicles, homes, workplaces, and the regular deaths of migrants crossing the border in southern Arizona are not unusual events. We’ve become used to them over the years even as the federal government has continued to carry out this attack on immigrants in a stealthier fashion than our local right-wing sheriff. This new attack coming from the feds should cause great concern that the “bad old days” of open local, state, and federal hostility towards migrants may be surpassed under the new administration. Certainly we see that it’s going to take a lot more than blockading vans to stop the deportation machine, and we may soon have a better idea of what that looks like as events unfold in Arizona and across the US in the coming weeks.